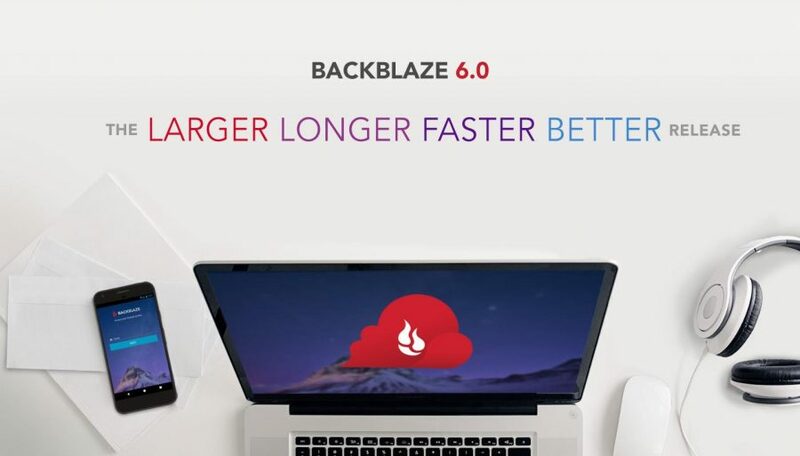 Backblaze (a TidBITS sponsor) has released version 6.0 of its cloud backup service with improved performance, an increase in the size of drives used for restoring by mail, and more. 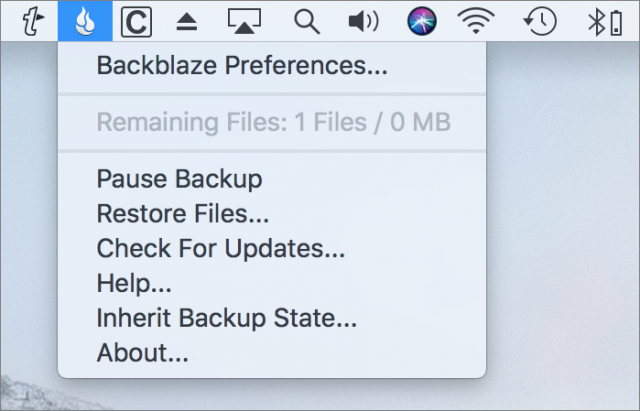 The Backblaze software will update itself automatically sooner or later, but if you want to get the latest client right away, click the Backblaze menu bar icon and choose Check for Updates. Increased performance: Backblaze boasts that upload speeds can be up to 50% faster, along with streamlined logging and system resource usage to improve overall performance. Super-sized restores: Backblaze has doubled the capacities of the drives used for its Restore By Mail feature. Flash drives now hold up to 256 GB and hard drives can hold 8 TB. You pay a deposit of either $99 (for the flash drive) or $189 (for the hard drive) and Backblaze loads a drive with data and ships it to you. Return it within 30 days for a full refund. Wi-Fi blocklist: If you regularly tether your Mac to an iPhone or mobile hotspot whose plan has a bandwidth cap, you can now explicitly prevent Backblaze from working while connected to certain Wi-Fi networks. In System Preferences > Backblaze, click Settings. Switch to the Performance screen and click the plus button under “Wi-Fi network block list.” Select a network to block and click Add to add it to the blocklist. Google single-sign-on: If you’re frequently logged into Google anyway, you can now use your Google account to sign into Backblaze and save time. Go to your Backblaze account settings and make sure you’re in My Settings. Under Security, select Google instead of My Email. B2 Integration: One of the main criticisms of Backblaze we’ve heard from TidBITS readers is that it retains only 30 days worth of backups. Backblaze has addressed that—sort of—by letting you save backed-up files to its B2 cloud storage service. 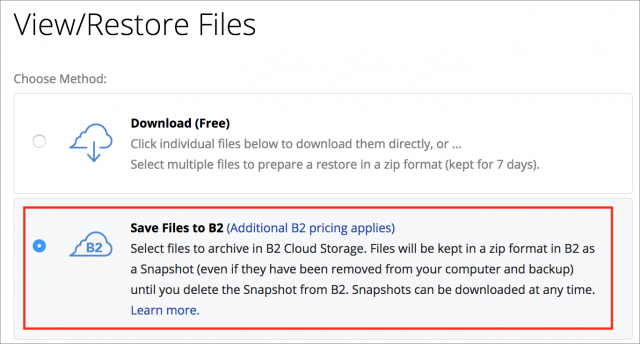 In the interface for restoring files from Backblaze (see “How to Restore Files from Backblaze,” 24 August 2018), there is a new Save Files to B2 option. Files you save to B2 remain there until you delete them, but you’ll pay for the privilege—$0.005 per GB per month for storage and $0.01 per GB when you download the files. Those rates are among the lowest in the industry, but still an additional charge. Use this B2 Cost Calculator to figure out how much you’d actually pay for this service. Keep restores longer: Another aspect of the B2 integration is that you can archive a Zip file restore to B2, which might be useful if you need more time to download it or wish to keep a permanent copy stored in the cloud. 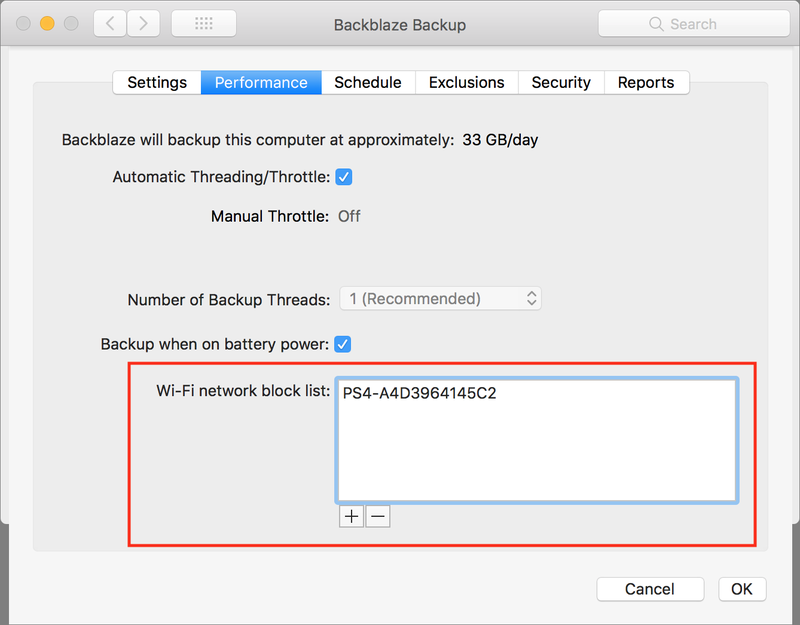 iOS app: Backblaze’s iOS app has long been one of the service’s weak spots. To address its limitations, Backblaze has released a new version of the app with a cleaner interface, increased (though unspecified) file download size limits, support for time-based one-time passwords (ToTP), support for Touch ID and Face ID, Google single-sign-on support, and warnings for downloads over cellular networks. Put those three together and you’ll be covered in every eventuality. I partitioned my home backup drive into 4 TB increments precisely because Backblaze had no idea how I was supposed to restore it, so this is welcome news. And excluding specific wifi networks is pretty much the last feature I’ve missed from Crashplan. There’s one for you, @yevp! Hah. I remember that video! That song, in part, played a role in the naming! But we probably could have embedded that in there. I’d be interested to know whether the upgrade fixes the issue that made me cancel my Backblaze account just last week and delete all 2TB of data that had uploaded over the previous 12 months. I’ve reverted back to using CrashPlan. The issue with Backblaze is that when it hit a large file to back up (I have lots of large video files) it would use up the entire internet bandwidth for our house, basically putting the entire house offline. I had to schedule backups to run overnight but that meant I never got close to uploading the 3TB of data on my Mac even after running it for 12 months. CrashPlan has much better bandwidth management. I have all my data backed up and the internet never slows down. I’m surprised Backblaze tech support didn’t mention the upcoming update when I was trying to fix the backup process prior to cancelling my account with them, unless the issue hasn’t been fixed. And place a Bootable Carbon Copy Cloner backup in first place? The reason being due to the general unreliability of TM, a proprietary file structure, and it’s limitations with Mojave, for starters, eh? I keep using Crashplan simply because it backs up to an Australian datacentre (presumably AWS). Wish there were more options other than rolling (and maintaining) my own. There’s no implied order to the three types of backups—all three are essential for recovering from different types of problems. We generally mention Time Machine first because, as the built-in solution provided by Apple, it’s the most common. If someone is going to ignore our advice and only do one, Time Machine is the most likely. Maybe I’m just not understanding how BB works, but I can’t help but feel that this is a hugely misleading service—either that or everyone who writes about it just doesn’t get it. Backblaze is NOT a backup service. It’s nothing more than TimeMachine, only the storage drive lives in the cloud instead of attached to your own personal network/Mac. Backblaze deletes older files to replace with newer ones. That’s not a backup, it’s “disaster recovery” just like TimeMachine. A true backup means the file(s) live there forever as-is until I manually delete them. That being said; for what it does, TimeMachine is fairly unreliable, slow, buggy and a royal pain to use, so Backblaze is a welcome alternative. Again, perhaps I’m just not understanding how it works, and I’ve heard absolutely nothing but great things about the service. But when I create a backup, I expect the files to live forever unless I say otherwise. For me, the best backup solution is to use TimeMachine for quick “oops” situations, and an external SSD drive that I keep offsite as my main backup. You have too restrictive a definition of “backup.” Time Machine is a backup system. It’s common for backup systems to have limits on how long files are retained. Your offsite SSD has a limit, that you manually choose when to delete those files instead of an automated system doing so does not make it more of a backup. @GraphicMac - if you want more control about retention, check out Retrospect as an alternative. @cwilcox is right—there is no one true definition of what a “backup” is. You can get closer to what you are calling a “true backup” with a custom backup strategy, but you’d better have a lot of disk space and be prepared for your computer’s performance to be reduced significantly by all the copying. For instance, should your backup include a file that you create and delete immediately? Should your backup include cache files? VM swap files? Every keystroke you make? A record of mouse movements? All that is possible, but isn’t what standard backup programs like Time Machine, Backblaze, and SuperDuper or Carbon Copy Cloner are designed to do. Their goal is to make a copy of some subset of the data on your disk at a particular point in time and enable you to recover files from that copy. And I do mean subset—all these programs ignore certain files for various reasons, the most common being that there’s no reason to back up a temporary file. 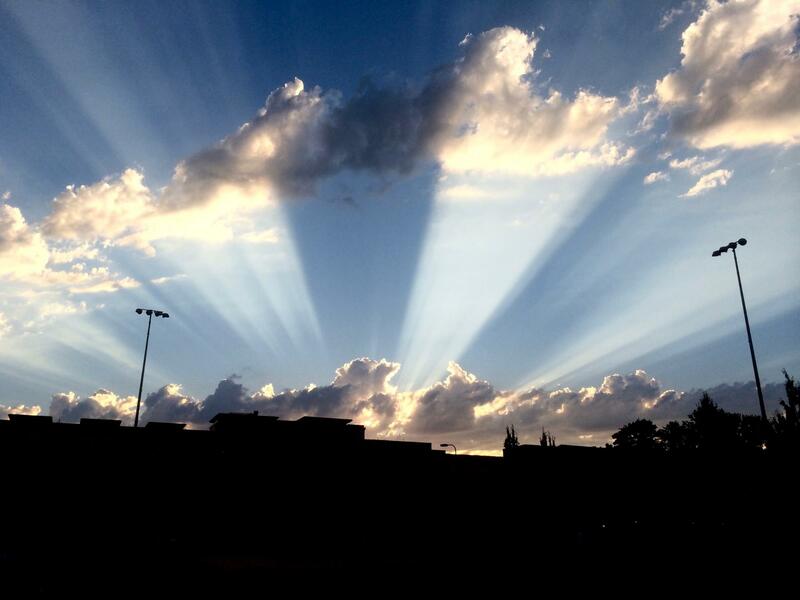 But all back up data that you create and retain those backups for some period of time. How long that retention happens depends on a variety of factors and decisions you make. The factors generally revolve around disk space (Time Machine starts deleting older versions of files as it runs out of disk space but always retails the most recent) or how much money you want to spend (Backblaze’s new integration with their B2 Storage service means that you can archive whatever you’ve backed up with Backblaze for as long as you want, but you’ll pay more for that service). Personally, I can’t remember ever have restored a file from backup that had been deleted for more than 30 days, so that particular limitation of Backblaze has never bothered me. That’s doubly true because I consider Backblaze to be my backup of last resort, the one I’ll turn to only if our house burns down while we’re out with friends tonight. If I actually needed to restore a deleted file that was more than 30 days old, I’d turn to Time Machine, which I point at a disk large enough to ensure that such old backups probably are available. I suspect I’ve never run into this because I don’t delete files willy-nilly, and I empty the trash infrequently, maybe once every few months, when I feel like I should recover the disk space. I’m much more likely to err on the side of keeping something than trashing it in general. Until now, Internet backups required subscribing to a cloud-based backup service and using proprietary software to handle archiving and retrieval. Now, there’s a DIY alternative: Arq backup software and Backblaze’s B2 cloud storage system. They offer much more control, but of course, you’re going to pay more for the privilege. I guess I would add to the paranoia by having an “Archive” disc that I am backing up things from the past I may need at some point, but don’t need on my (now limited SSD) home drive. That disk is also copied with Carbon Copy. I am considering moving the copy offsite. This is actually a distillation of my many “Archives” and “Backup” disks that I have accumulated over the years and feel I need to update them and winnow them. On that note, is there a program that will identify and flag (or delete) broken or corrupted files? My Drive Genius finds them, but it just leaves them where they are.